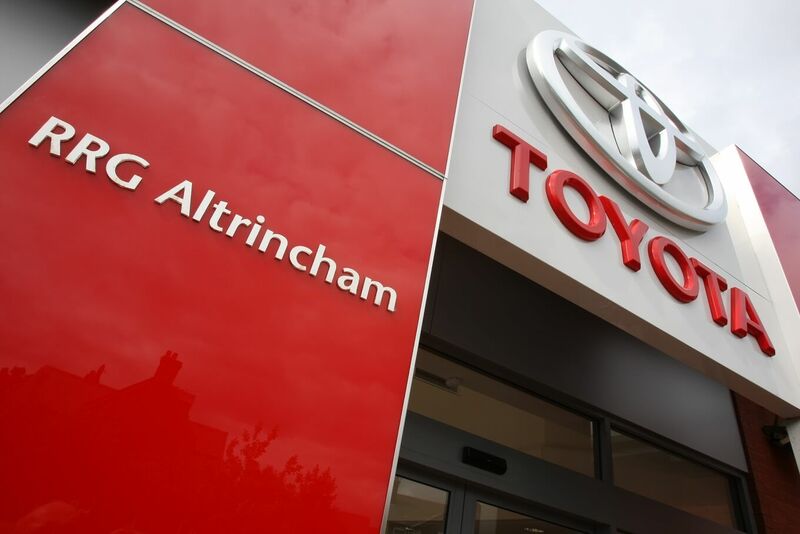 RRG Altrincham has grown significantly over the last few years and is now recognised within the Toyota network as a successful dealership, for both sales and after sales. Many of the staff have been at the dealership since the facility opened and the site enjoys a loyal and highly satisfied customer base. Hi. 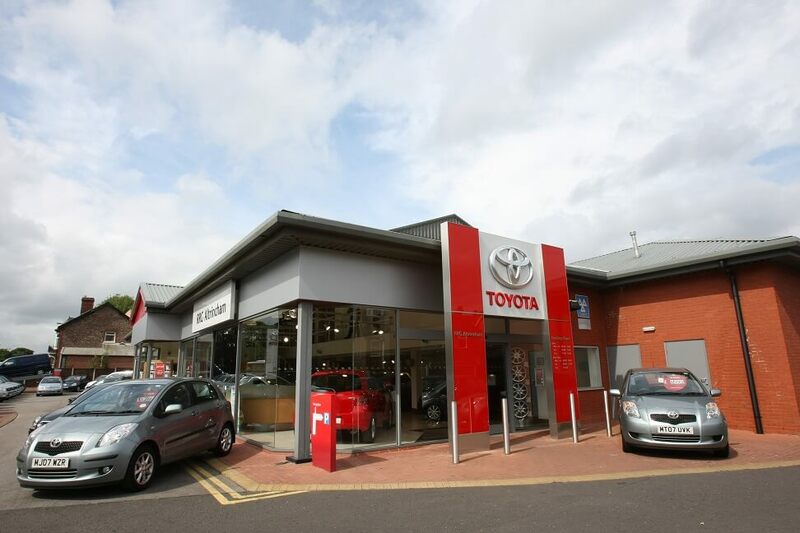 I'm Mike, the Dealer Principal here at RRG Toyota Altrincham. Working for RRG is a pleasure and we aim to provide the very best customer service and knowledge for all of our customers. We look forward to welcoming you to the centre. Hi, I'm Steve, Sales Manager at RRG Toyota Altrincham. Meeting new people every day and helping them find the right car for their needs is great and we pride ourselves on delivering the best experience possible, whether it be for new & used car sales, parts or accessories. Hi my name is Matt and I’m Retail Manger here at RRG Altrincham. I have been in the motor industry since 2010 when I started at Altrincham as a trainee sales executive. Part of my role is to help customers find the best way to fund their car and also to provide help and advice on which insurance products suit their needs. Hello, I'm Rick, Aftersales Manager at RRG Toyota Altrincham. We offer servicing and MOT testing, parts and accessories sales and ensure that all work is carried out by highly trained technicians to make sure your vehicle always performs at its best . Hi I’m Mark and my role here is motability specialist. I have worked at RRG Altrincham for 7 years as both sales executive and motability specialist and I have 30 years' experience in the motor industry which means I can offer all the advice customers need to purchase their next car. All three Toyota Gazoo Racing World Rally Team drivers came away from the Tour de Corse with points to their credit on Sunday. Success was hard-won in the fourth round of the 2019 FIA World Rally Championship, however, with each car suffering setbacks during the three-day event. The Toyota Prius has seen off all comers in the 2019 Auto Express Driver Power survey to take the gold award as the New Car of the Year. The honour is all the more significant for being based on the opinions and real-world experiences of thousands of UK motorists. Read more about Toyota Scrappage Scheme. Scrap old, drive new. From Britain’s farms and construction sites, to frozen polar wastes, the Toyota Hilux has proved itself a trusted top performer whatever the environment. Now it has gone further in its world-conquering achievements by claiming Toyota’s first victory in the ultra-gruelling Dakar rally. The freezing cold weather is undoubtedly upon us, with temperatures due to plummet in the coming weeks. The idea of having a blast of your air-con in the chilly season might seem counter-intuitive in the minds of most motorists, but many experts maintain that using it during these colder months actually prolongs the life of your vehicle, and can help prevent any issues from occurring when the temperature shifts towards that warmer springtime climate and beyond. British motorists eager to be the first to get the keys to an all-new Toyota Supra can secure a place in the order books from today. The imminent return of Toyota’s legendary sports car has already provoked great anticipation among motorists keen to experience new Supra’s “no compromise” engineering and performance. Their appetite has been whetted by the car’s scene-stealing appearances this year at the Geneva Motor Show and Goodwood Festival of Speed, and glowing reviews from the first journalists to drive a prototype model. In 2015, Toyota decided to instigate the democratisation of advanced safety features in its cars with Toyota Safety Sense, a set of active safety technologies designed to help prevent or mitigate collisions across a wide range of traffic situations. The ethos was to make these systems widely available across its model ranges, rather than reserving their use to higher specification vehicles, thus increasing their potential to reduce accidents and injuries. Known for its ability to handle all kinds of tough terrain – including the North Pole, South Pole and the Dakar Rally – Hilux has been the go-to vehicle if you’re in the market for a powerful workhorse. Its indestructible reputation has been built over seven generations of constant development and testing in the harshest of topographies. From navigating treacherous icy ridges to entering an active volcano – the boundaries of impossibility keep on being pushed. 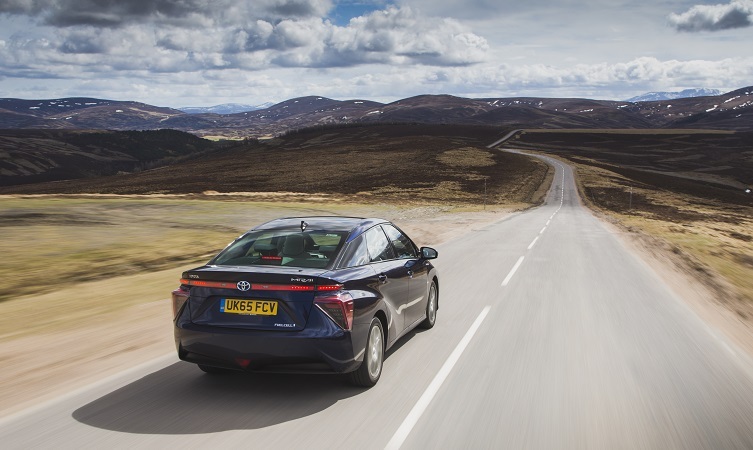 The Toyota Mirai has become the first hydrogen fuel cell electric car to drive the length of Britain from John O’Groats to Land’s End, in the process emitting nothing but a few litres of pure water along the way. Independent, in-depth research by Which? confirms that the latest Toyota hybrid electric cars give motorists more miles per gallon and lower annual fuel bills while producing less polluting emissions in real-world driving than their petrol and diesel rivals. “Two decades on after the first Prius was sold, it seems hybrids are starting to become the truly fuel-efficient option,” Which? declares. Toyota Gazoo Racing World Rally Team are seeking a repeat of last year’s victory on the high-speed gravel roads of Rally Finland this weekend (26 to 29 July). It’s a home event for the team, who are based close to the service park in Jyväskylä, and their Finnish drivers Jari-Matti Latvala and Esapekka Lappi. Ött Tanak can also count on large support from the crowds, coming from neighbouring Estonia. Toyota’s sharply styled C-HR has blazed a trail through the crossover market since its launch in late 2016, speeding its way into the top three of the company’s best-selling models in double-quick time. Now its customer appeal is being increased with the introduction of a richly specified new Design grade, additional equipment features, fresh interior treatments and a bold new colour choice.